Empathic design versus the great adversities of the modern world. Empathic design is rightly recognized as one of the most important contemporary design disciplines. The ability to observe consumers and look at the world from their perspective leads to the creation of products that respond to their needs, which gives the products themselves a better chance of market success. Arriving, unpacking, getting to know others and taking part – that is what you need to do in new surroundings so that you can feel at home, no longer an outsider. 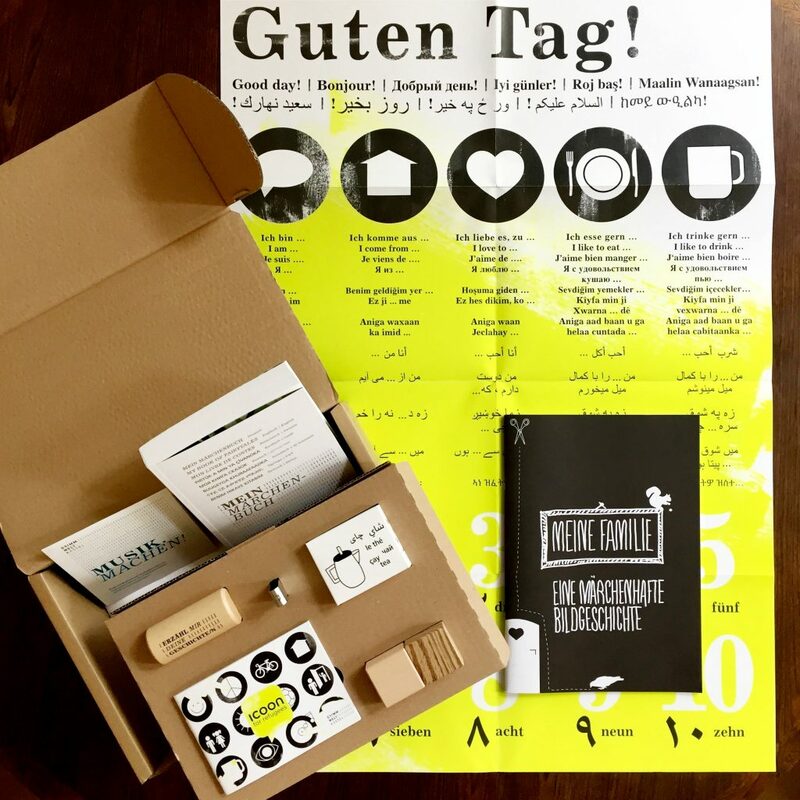 In cooperation with the GRIMMWELT Kassel Museum we created didactic materials for an integration project and multimedia box which help people to communicate with each other. About 400 refugees from 16 countries together with German citizens, translators for 13 languages and international artists contributed to the project. The project is funded by the Federal Government Commissioner for Culture and the Media. 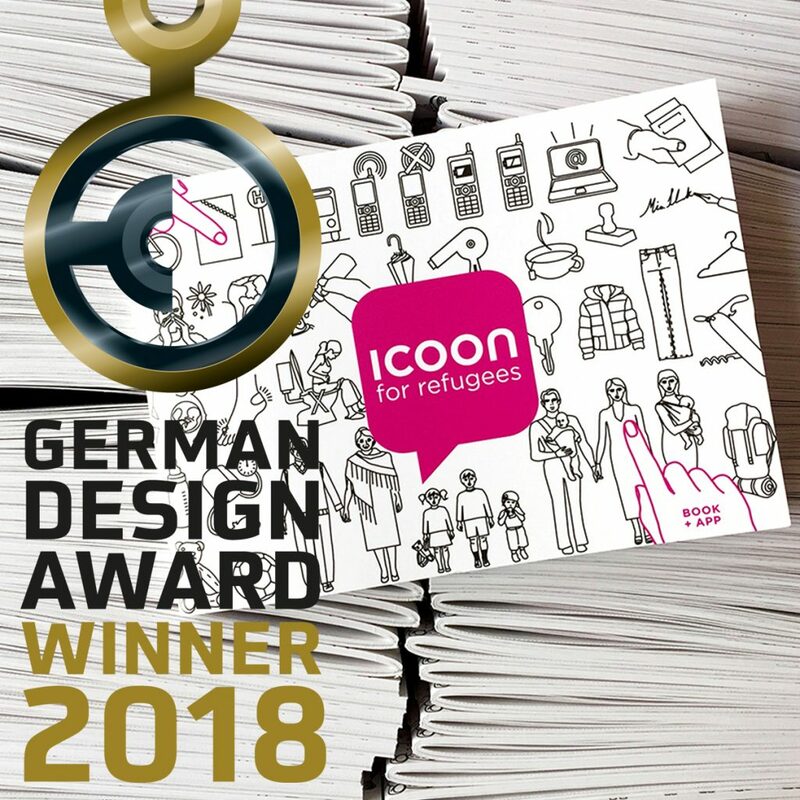 Our non-profit communication help ICOON for refugees won the German Design Award 2018 in two categories: Excellent Communication Design/Editorial & Universal Design. 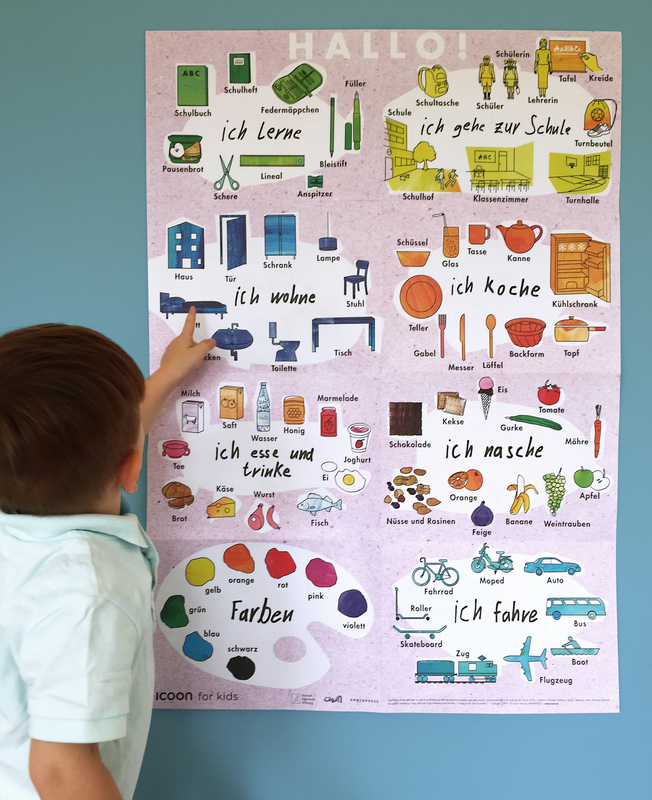 Amongst others, 43 international experts from Germany, UK, Hongkong, Italy, China, USA, Turkey and Sweden, chose our picture dictionary out of 5.000 submissions for this prestigious award. The German Design Council dedicates this prize since 2012 to works, which convince in creative, aesthetical and sustainable aspects. 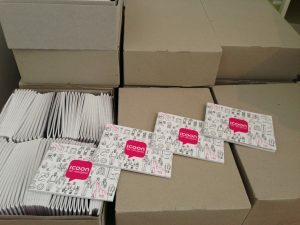 We are very honoured and say many many thanks to everybody who supported this non-profit project in the last two years, making 60.000 books, the mobile app and universal communication for refugees and their helpers worldwide possible. 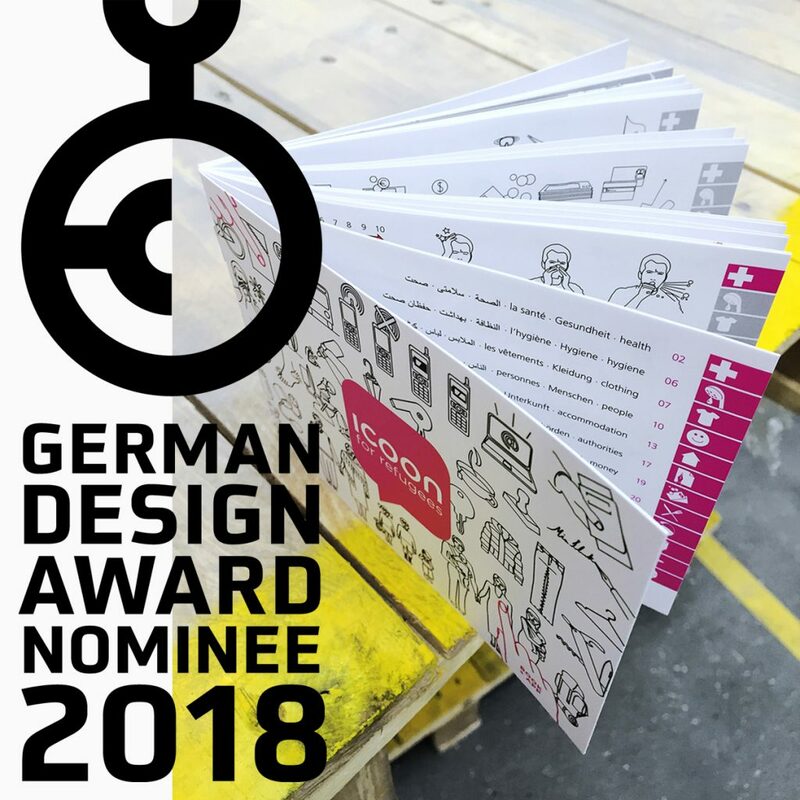 ICOON for refugees was nominated for the German Design Award. We are honoured to be running for this prestigious price in two categories: Excellent Communication Design/Editorial and Universal Design. 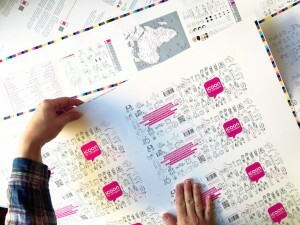 The clear and cross-cultural design, specific symbols designed according to the particular refugee situation and the non-profit character of the book, convinced the German Design Council to allow us entering the contest. Press your thumbs for us! Your ICOON for refugees team. 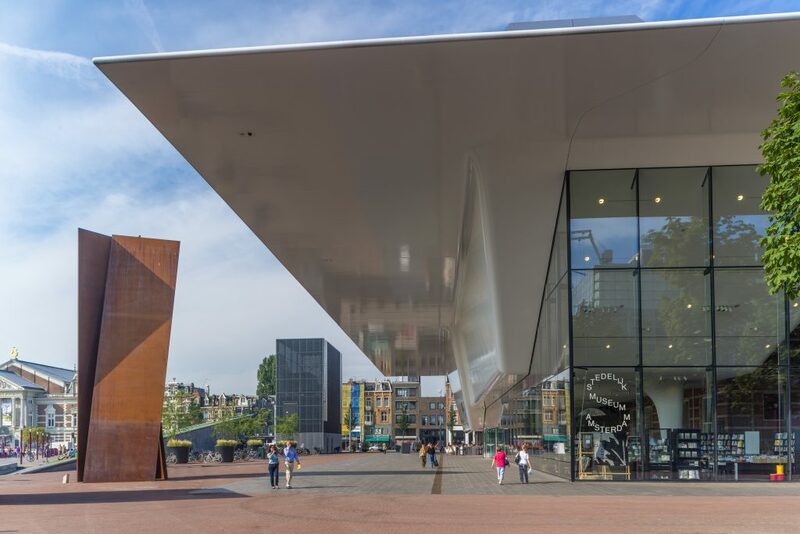 we are very proud to announce, that ICOON for refugees will be presented in the Stedelijk Museum Amsterdam from May, 20th – Sept, 3 2017. The exhibition „Solution or Utopia? Design for refugees“ presents over 50 recent initiatives designed to improve the temporary situations faced by refugees. From clothing that can double as a tent, over linkable plastic floor sections for temporary shelters to our communication book. All designers’ central challenge was to devise practical, real-life solutions. The exhibition Solution or Utopia? also includes a number of projects that were submitted for last year’s Refugee Challenge. This contest is organised by the annual What Design Can Do conference in Amsterdam, which encourages designers to come up with proposals aimed at improving the reception and integration of refugees. The competition is organised in partnership with UNHCR and the IKEA Foundation. Happy seeing you in Amsterdam! 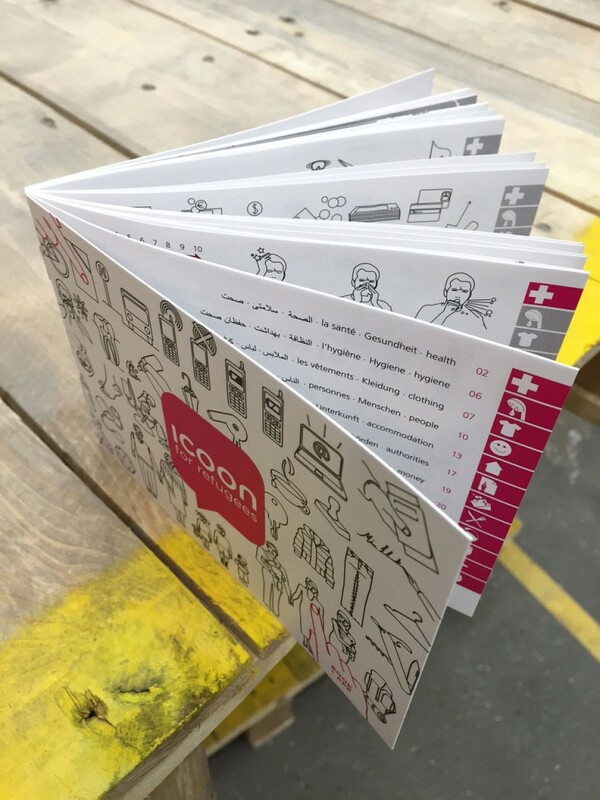 We are very happy about your ongoing interest in our aid-project: the „ICOON for refugees picture dictionary“. Your great engagement, initaitive and drive also enabled our small team to print the new 3. edition of 15.000 books. 10.000 new books are already donated to refugees and aid-organisations. Should you be in need of new books, we are very happy about your message! 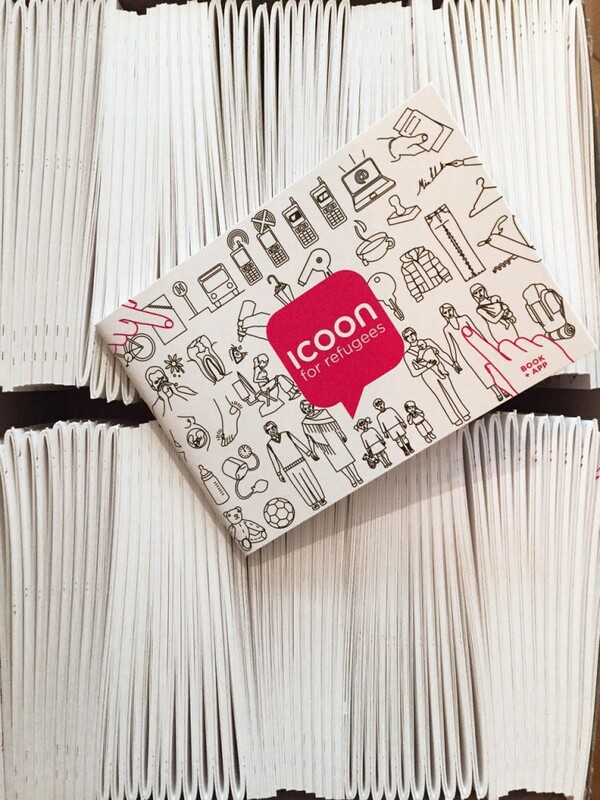 We are proud to say, that your work and the help of so many great and small supporters made a current total edition of 65.000 ICOON for refugees books since November 2015 possible. Thank you so much for your support!